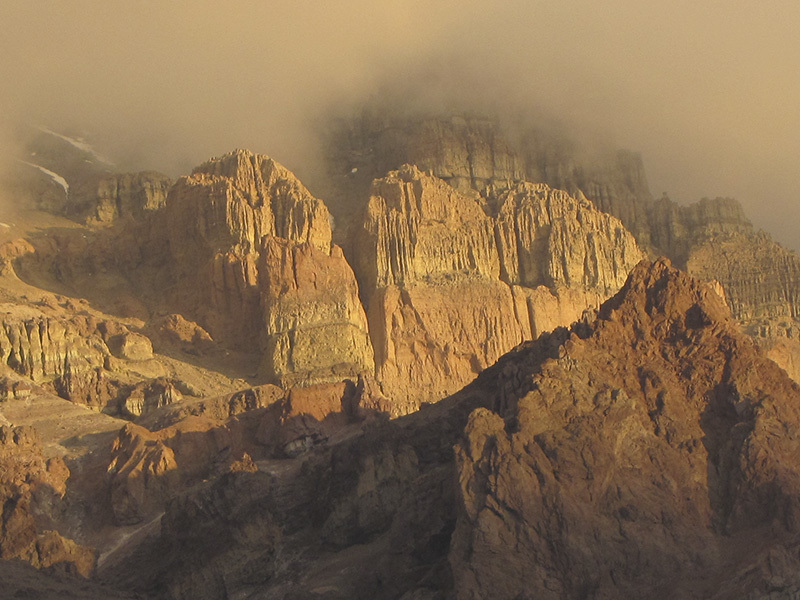 The Central Andes , and particularly the Aconcagua , receive the humidity from the winds, originated in the anticyclonic centers of the Pacific Ocean . The climatic phenomenon denominated Zonda wind is similar to the Fohn in Europe. The Pacific anticyclon emits humid winds that blow towards the East, meaning, West Winds. These winds elevate, crash against the mountain mass, cool and precipitate their humidity in the form of snow on the high peaks. After this, the air masses, already dry, descend on the oriental sides of the mountain range, progressively warming up. 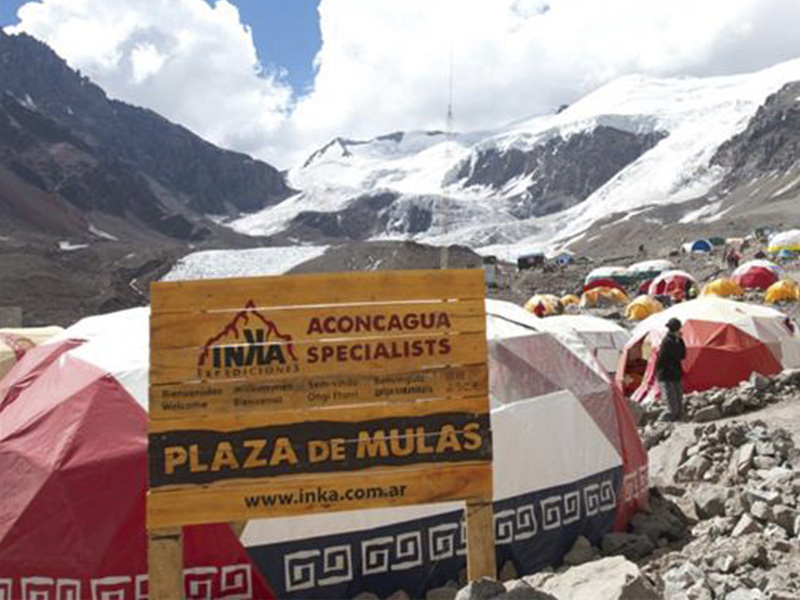 This air movement originated in the Pacific, is the main caus of snow and wind storms that unchain over the Aconcagua . But there are other electic storms that also exist, formed by the microclimate of the area, particularly strong. These electrical storms are exclusively produced during summer and must not be underestimated. The north west side of the mountain is exposed to electric sparks (lightning), also the peaks and crests. Due to the size of this mountain there is also a particular phenomenon. On occasions, the strong winds of the West blow, at high altitude, affecting the higher areas of the mountain (from 5500 up) forming a huge “mushroom” or lenticle. Even when there is a good climate, in Plaza de Mulas, the presence of the “Mushroom” is a definite sign of strong winds and precipitations in high altitude. Going into this “mushroom” can be fatal. Once you see one forming, you must abandon the higher areas of the mountains. Regarding temperatures in summer, you must consider that the nights (even in good weather), over 5.000 m, -20ºC is common. On the summit, it is frequent to see -30ºC. 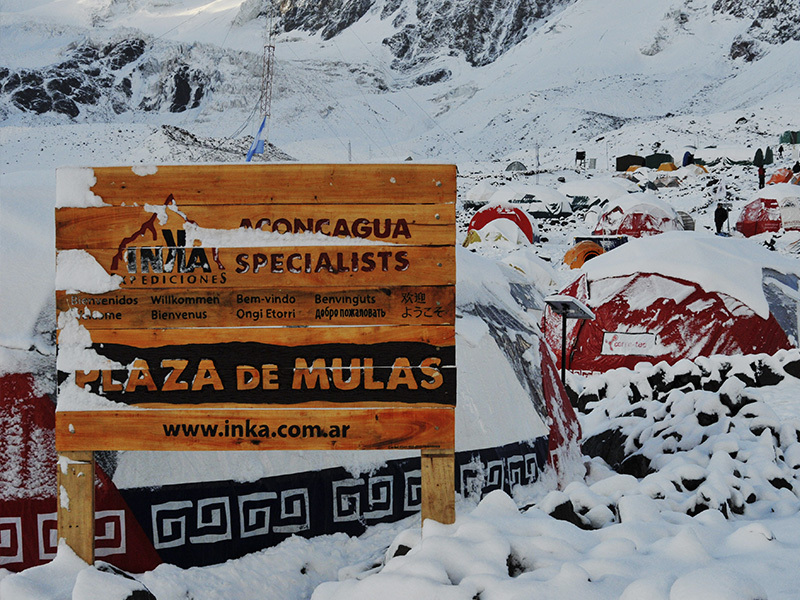 During periods of bad weather or in the presence of masses of air coming from the South, at Plaza de Mulas it is frequent to find -18ºC, while at the top of the mountain -25ºC is common. During most of the days and nights, the temperatures are not very rigorous. You can wear a bathing suit, at mid day at base camp (4200 m) or be on the peak, at the same time, only wearing a thick shirt and a light anorak. These large thermal variations force the climber to always be prepared. During winter, the area is covered with snow, the winds are always violent and constant, while the temperatures rarely go over 0ºC. In shady areas, the temperature is below zero. 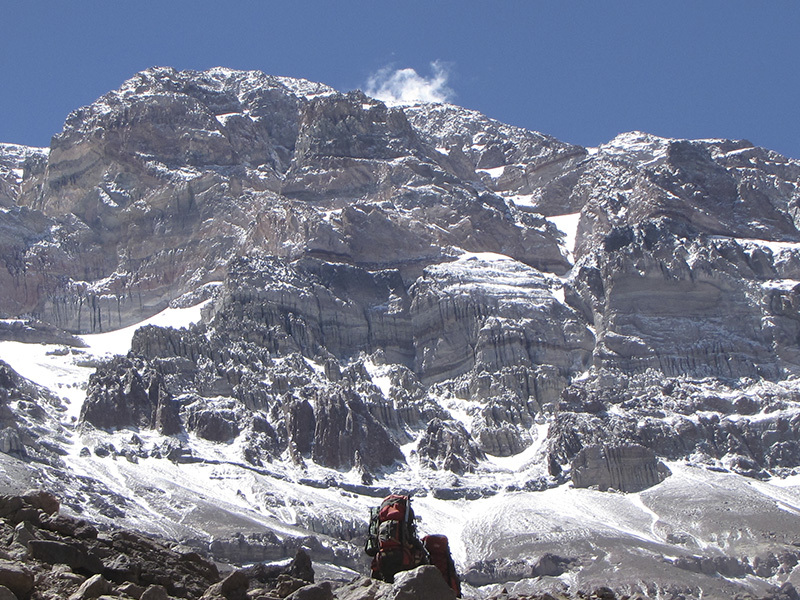 Ascending the Aconcagua in winter is a huge psychophysical performance test and you need a lot of experience and high quality equipment.